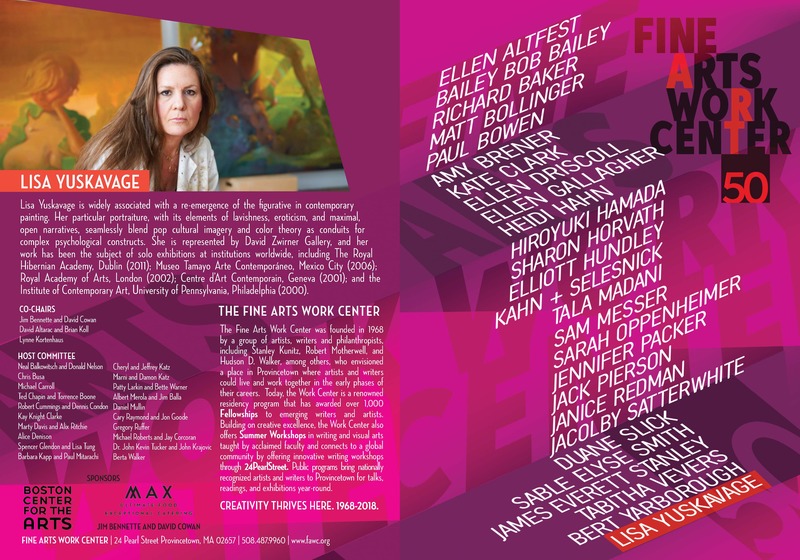 The Fine Arts Work Center celebrates 50 years of devotion to encouraging the growth and development of emerging visual artists and writers. To mark the occasion, the Work Center will present a Visual Fellows Spotlight exhibition with a private opening and benefit reception honoring Lisa Yuskavage, who was a Fine Arts Work Center Fellow in 1986. 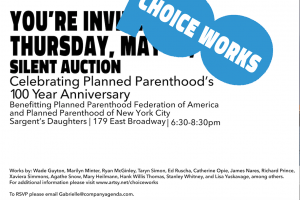 For more information and to purchase tickets, please visit the Work Center’s website. View a full recording of the talk here. Since the inception of the Brooklyn Rail of twenty years ago, co-founder and artistic director Phong Bui and the Rail’s contributors have published over four hundred interviews with artists. This panel—a conversation between writer Jarrett Earnest, editor Lucas Zwirner, and artists Joanna Pousette-Dart, Sarah Sze, and Lisa Yuskavage, focused on their respective practices—illustrates the insight that can be gained from these intimate dialogues. All three artists are included in Tell Me Something Good, which contains sixty Rail interviews in total. While each chapter offers a specific perspective on the life and work of an artist, collectively they tell the story of a journal that has grown during one of the more diverse and surprising periods in visual art. There is no unified style or perspective; the Brooklyn Rail’s strength lies in its ability to include and champion difference. Selected and coedited by Jarrett Earnest, a frequent Rail contributor, with Lucas Zwirner, the book includes an introduction to the project by Phong Bui, as well as many of the hand-drawn portraits he has made of the artists he has interviewed over the years. This combination of verbal and visual profiles offers a rare and personal insight into contemporary visual culture. To reserve tickets, please visit CIMA’s website. For further information visit David Zwirner’s website.